The most waiting Flagship phablet, Samsung Galaxy Note 4 has been unveiled at IFA event in Berlin. The device comes with really solid premium look and high-end specs as expected. 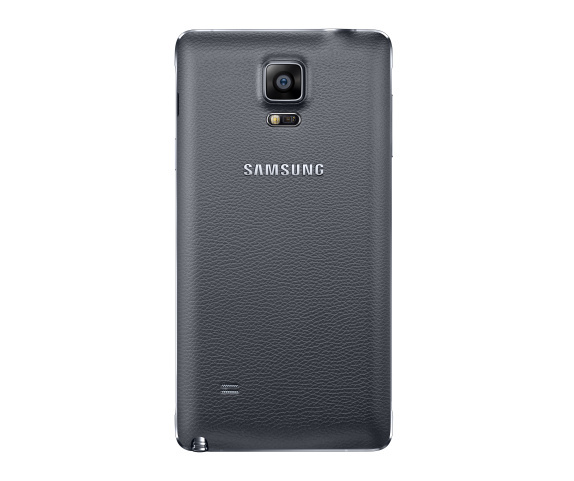 The design of Note 4 has been carried from Galaxy Alpha which has announced few months earlier. 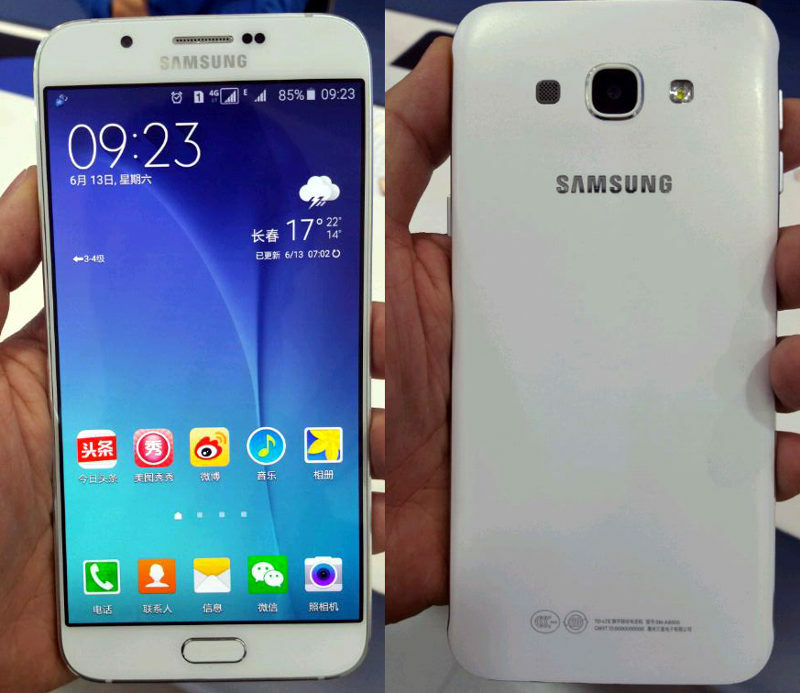 It comes with same fingerprint scanner as that of the Galaxy S5. Samsung fourth generation phablet Galaxy Note 4 features a 5.7-inch Super AMOLED display with a resolution of 1440 x 2560 pixels and pixel density of 515ppi. The screen is scratch resistant being protected by Corning Glass 3. The Note is powered with 2.5GHz Krait 450 CPU, Adreno 420 GPU including Qualcomm Snapdragon 805 chipset. It is equipped with 3GB RAM and has 32GB of internal storage which can be further expandable up to 64GB via microSD card support. The latest flagship phablet runs on Android 4.4.4 KitKat operating system with home-backed TouchWiz UI on top. 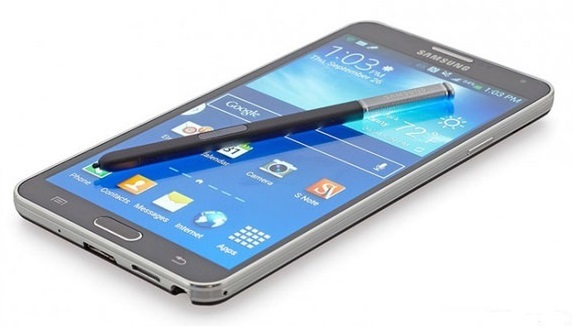 Galaxy Note 4 comes with 16 MP Sony IMX240 camera sensor with optical image stabilization. It has dual LED flash for better lighting and thus improving the image quality. The rear camera include features like dual-shot, simultaneous HD video & image recording, geo-tagging, touch focus, face and smile detection, image stabilization, panorama and HDR. Another new feature called Side Touch is includes which helps to active the camera even the screen is off. There is also 3.7 MP wide angle front facing camera which is capable of taking videos in WQHD resolution (2560 x 1440 pixels). So better selfie can be taken with the 3.7 MP front shooter. The Wireless connectivity options for the Flagship phablet include Wi-Fi 802.11 a/b/g/n/ac, dual-band, Wi-Fi Direct, DLNA, Wi-Fi hotspot, Bluetooth 4.0, A-GPS with GLONASS and 4G LTE support. The Smartphone is given backup with 3,220 mAh battery which is expected to last an entire day without any hassle. There is also option for wireless charging if you need necessary. 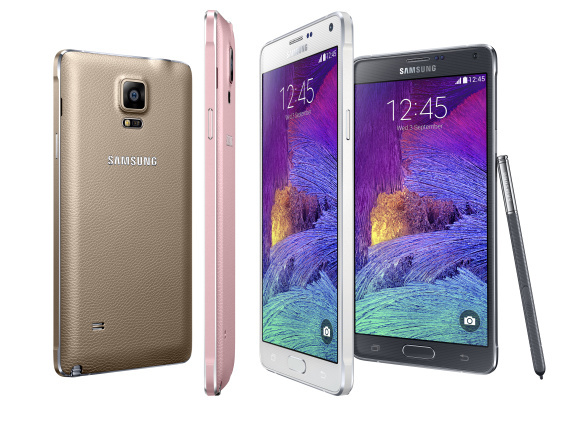 The Samsung Galaxy Note 4 comes in frosted white, charcoal black, bronze gold and blossom pink color options and will be available starting from October. There is no word on the pricing of the Phablet.